Judicial Revenge, The State Bar & The Private Attorney General Richard I. Fine, Ph.d.
Summary: This is a preview from a one-hour exposè of the judicial revenge against former U. S. Prosecutor Richard I. Fine, Ph.D. who challenged judicial corruption from his L.A. County jail cell while in solitary "Coercive Confinement". This 72-year-old public interest attorney exposed government corruption all the way up to the U. S. Supreme Court. He is fighting to restore his law license that was taken from him by the Judges who retaliated. He was used as an example as to how a whistle blowers are treated in the United States. Segment #1: Former U. S. Prosecutor Richard I. Fine, Ph.D., was disbarred in 2009 from practicing law in retaliation by State Superior Court Judges who he exposed taking illegal double benefits from Los Angeles County while sitting on cases involving him and the county. At the behest of judges and attorneys for a powerful developer proposing a massive project on County-owned property, Fine was disbarred for "moral turpitude" in the State Bar charges. But recent court filings show the State Bar admission that Fine was disbarred for filing "frivolous lawsuits against the judges". According to Fine, this admission reveals that the action was purely retaliation having him having litigated the illegal payments in Fedral Civil Rights lawsuits, which were not held to be frivolous. (See 10-31-11 Reply to 9th Circuit) An emergency bill was passed in Feb. 2009 (Senate Bill SBX2 11) that purportedly gave all California Judges retroactive immunity from criminal prosecution for taking the double benefits which are prohibited by law. That bill is now under attack with the prospect of being overturned. The State Bar reply. Segment #2: The California State Bar sent out Notices of Disbarment to other Bar Associations to prevent Richard I. Fine from practicing law in any other jurisdictions, while knowingly obstructing justice, according to Dr. Fines' court filings. Fine alleges in his court filings. The action of the State Bar was motivated by Fine's court filings alleging that County payments to judges were considered "bribes" under California and case law as "double benefits" from the County of Los Angeles. Segment # 3: An admission of fraud, in a Ninth Circuit Appellate Court filing by the State Bar, prompts Richard Fine to raise the issue of extrinsic fraud and obstruction of justice. The Ninth Circuit Court of Appeals Motions Clerk refused to allow any motion filed by former U S Prosecutor Richard I. Fine.to Set Aside a fraudulent disbarment order. Motions attorney Susan Gelmus tells Fine that the Court refused to allow him to file. Fine is continuing to challenge what he claimed are "VOID" orders of the court. Segment #4: In an effort to fight government corruption, Richard I. Fine began specializing in public interest law and became known as "the" Private Attorney General. When citizens groups were being victimized by corrupt government policies, Richard Fine would represent them against government agencies. This specialization led to his eventual disbarment when he challenged the Superior Court Judges for taking illegal payments from the County and then sitting on cases where the County was a party to the case, a clear conflict with the law and Judicial Canons of Ethics, but ignored by all the Judges. Segment #5: L. A. County Sheriff Baca was respondent in the case involving Richard I. Fine whose Writ of Habeas Corpus was filed in the 9th Circuit Court of Appeal in 2009. According to court filings by Richard Fine, all three justices assigned to the case had ties to Los Angeles power players who were involved in conflict and questionable practices. While he remained in solitary "coercive confinement" for 18 months, California Judges inexplicably denied, without hearing, his petition to be released from jail. Fine's descriptions of the cast of characters, as stated in his court documents, paints a trail of intrigue starting from a big law firm with a County contract to negotiate leases in Marina del Rey. A partner in the firm was also President of the State Bar at the time Fine's disbarment proceedings were underway. This occurred while Fine was suing one of the Marina lessees on behalf of homeowners. According to the California Judicial Council, 90% of the State Judges are receiving illegal payments from counties, but were given retroactive criminal immunity in Senate Bill SBX2 11 for taking the illegal payments and failing to report and to disclose to litigants in the courtroom of their conflict. Segment #6: According to Richard I. Fine, California lawyers are well aware of corruption in the Judiciary, but are afraid to challenge it. The State Bar is charged with disciplining attorneys but controlled by Supreme Court Judges. Recently the California State Bar has admitted in Court filings that Fine was disbarred for having challenged the judges. 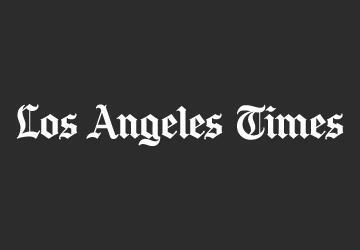 This raises the possibility that State Supreme Court Justices may be asked to disqualify themselves inasmuch as five of the Justices previously also received illegal payments from L A County, according to court documents filed by Richard I. Fine and the office County Auditor-Controller. Emmy Award winning Full Disclosure Network®, presents "the news behind the news" in a short video from the 2011 Anniversary Event. Honoring four "Champions For Court Reform" and featuring clips on the decline of L A County and Marina del Rey. In addition to Featured in this 5 minute preview of an hour long program are angry residents, parking meter victims and Fred Sottile, Superior Court Judge impersonator, regarding questionable County government policies. The event was held at the California Yacht Club to celebrate the 2011 Anniversary of the Full Disclosure Network, a non-profit 501(c)(3) organization that produces and distributes the public service programming to public cable and community TV channels across the nation and on the Internet. Los Angeles, CA Is California headed for corruption much worse than in Chicago in the days of Al Capone and prohibition? Watch this video assessment by Mexican Mafia and Gang Specialist Sgt. Richard Valdemar, who retired after more than three decades with the Los Angeles Sheriff's Department. He describes how the Mexican Drug Cartels are controlling industrial farming of Marijuana while enslaving both the illegal alien laborers and the U. S. Farmers . Once entrapped by the Cartels, they are unable escape with their lives. Valdemar cites a recent example of the desperation of "medical marijuana" dealers in the U. S. who cannot turn to the police to save themselves from the Mexican Drug Cartels now taking over operations in California. Los Angeles, CA Full Disclosure Network® provides "the news behind the news" in this eleven minute video news blog from an interview with Bruce Whitaker, a Fullerton City Council member, who explains his frustration with the City bureaucracy. He describes how his efforts to get to the truth were stonewalled when he got inaccurate or incomplete information from the City regarding the death of Kelly Thomas, a mentally ill homeless man, who was beaten to death by Fullerton Police officers. Councilman Whitaker says the City employess should be held accountable when the government obstructs the flow of information to the City Council members who are their bosses. He says it is not OK for City employees to put out false reports and there should be consequences. He is calling for government transparency and for the City to make public the audio and video tapes of what took place during the beating of Kelly Thomas. Who Is Monitoring The Police Monitors? Los Angeles, CA Civic Activist David R. Hernandez has filed this a Writ of Mandate with the California Court of Appeals 2nd District asking the Court to OrderJudge Robert H. O'Brien “Disqualified” from sitting on the case Hernandez vs. County of Los Angeles. The primarily reasons cited by Hernandez O’Brien to be disqualified are the Judge has taken over $230,000 from the County of Los Angeles according to the L. A. Auditor Controllers Office while the County of Los Angeles. Yet, the Judge has refused to step down and has stricken Hernandez Motion to Disqualify him from hearing the case. Featured in this Full Disclosure Network® video news blog, is legal analyst, John Baron, who points out the conflict Judge O'Brien is facing when being asked to set aside the previous “Void” Orders of Judge David Yaffe due to the fact he also has taken $860,000 from the County of Los Angeles. This issue involves the 2007 “Proposition R” purported to be a "Term Limit" measure but actually extended the City Council Terms from two to three, four year terms and then relaxed lobbyist reporting laws, violating the "One Subject Rule" of the California Constitution. The Constitiution also prohibits State judges from hearing cases where they have accepted money from a party to the case. And requires that they disclose this information to the litigants. Neither the County of L. A., Judge O'Brien and Yaffe disclosed this information to litigants in untold thousands of cases. Although before he resigned from office before his term expired, Yaffe acknowledged in courtroom testimony that he did not perform work for the County, nor was he under contract to perform services, but did accept the county payments. Subsequent to recording this video, Judge O’Brien scheduled a hearing in his Superior Court Room on October 12, 2011 where David Hernandez’s Motions for a change of Venue, and to Set Aside Judge Yaffe’s Orders on Measure R will be heard. The State Bar acknowledged they did not submit any evidence to support its charges against Dr. Fine (see Review Department Opinion, footnote on page 24). The State Bar Court had alleged that Richard Fine’s cases raised the issue of certain judges taking illegal payments from the County of Los Angeles while being a litigant in the case (see Notice of Disciplinary Charges, #15-18). According to Dr. Fine’s First Amended Complaint Case No. CV-10-0048 his complaints against California Judges were protected under the First Amendment of the U. S. Constitution and the litigation privilege. be so insubstantial as to not justify further proceedings." And, Deputy Clerk Powell requested the parties to respond. Here is the Richard Fine response dated 8-24-11 to the Order to Show Cause (OSC) raising major Constitutional questions. Attorneys for the State Bar responded on August 30, 2011. In Richard Fine’s Response to that filing he notes the State Bar at page 6, lines 9-11 shows the entire State Bar proceeding was a fraud as he had never been charged with bringing frivolous cases against judges based upon the illegal payments to the judges. The State Bar’s response to the Deputy Clerk's OSC argued that Dr. Fine should not have to challenge the issue of SBX2-11 which was passed by the California Legislature in 2009. SBX2-11 granted retroactive immunity from criminal prosecution for all California judges (not just the ones challenged by Dr. Fine) This little known legislation was sponsored by the California Judicial Council. The Judicial Council was under Court Order to prepare a comprehensive 2009 report that found 90 percent of all California Judges were receiving illegal payments from the Counties. Dr. Fine filed this Judicial Notice on SBX2-11 with the Court on 8-24-11 calling the Court’s attention to the California Commission on Judicial Performance unanimous opposition the Constitutionality of SBX2-11. He requested the California Attorney General’s opinion on the illegal judicial payments and retroactive criminal immunity to judges. In the 2008 Sturgeon v. County of Los Angeles, decision, the judicial payments from the County of Los Angeles were found to be illegal. Over $350 million was illegally paid to Los Angeles County judges alone, according to Judicial Watch, the public interest legal organization representing Sturgeon the plaintiff. State Bar a Vehicle For Corruption? Professor Emeritus Daniel Gottlieb, Ph.D. who reviewed hours of audio tapes from the State Disbarment proceedings against Dr. Fine, appears in the Full Disclosure video. Dr. Gottlieb offers his observation that the State Bar President at the time was Sheldon Sloan who was representing developers who were opposing Richard Fine in Court and the disbarment proceeding that appeared to be retaliation prompted by Sloan’s clients developers Jerry and Pat Epstein in the Marina Strand Colony II Homeowners Assn. v. County of Los Angeles case. Dr. Gottlieb provide his opinion on the relationship between State Bar, the Developers, the Judges and the County. Opposing Attorneys Headed the California State Bar. Now that Richard Fine has been released from jail, the issues to be resolved are focused on the L A County government’s illegal payments to the judges, the approval of a controversial developments and the developers and County’s attorneys who were successive Presidents of the California State Bar Association at the time of disbarment of Richard I. Fine. Additionally a questionable $125 million HUD Loan Guarantee for the project whose HUD application has raised questions and has been criticized for being in conflict with the "affordable housing" mission of HUD. As noted in subsequent interviews, Richard Fine points to Jeffery Bleich who was the successor State Bar President and who presided while disbarment proceedings against Dr. Fine were concluding. Bleich was a partner with Munger, Tolles and Olson, who was under contract with the County of Los Angeles. The firm was hired to negotiate the Marina del Rey leases for the developers Jerry and Pat Epstein and others on L .A. County-owned property. All of these entities were parties named by Dr. Fine in Court documents. Bleich was appointed to the position of Special White House Counsel to the President just after Richard Fine was sent to jail—held for eighteen months in solitary coercive confinement—in March of 2009. Los Angeles, CA Former U. S. Prosecutor Richard I. Fine, Ph.D. appears in this exclusive video news report where he describes how the California Judges are mustering forces to fight off Citizen challenges to their illegal actions. They have enlisted the L.A. City Attorney Carmen Trutanich to scare off and intimidate one civic activist named David R. Hernandez who has filed a lawsuit to set aside Judge David Yaffe's VOID decisions on Prop "R". Fine says the City Attorney is "trying to scare the hell out of him" by illegally calling for sanctions. Read Full Transcript Here. When asked if David Hernandez would get a fair trial considering that all the judges are getting illegal payments from L. A. County, Richard Fine says he must get a change of venue to another county in order to get a fair trial. Richard Fine explains that the "Dirty Judicial System" demonstrated that the Judges consider themselves above the law and beyond the control of the citizens. The Legislature attempted to de-criminalize the illegal payments but were unsuccessful when they enacted Senate Bill SBX2 11 which is now being challenged as "Unconstitutional" by the Commission on Judicial Performance. According to Wikipedia the RICO ACT is a United States Federal Law that provides for extended criminal penalties and a civil cause of action for acts performed as part of an ongoing criminal organization. The RICO Act focuses specifically on racketeering, and it allows for the leaders of a syndicate to be tried for the crimes which they ordered others to do or assisted them, closing a perceived loophole that allowed someone who told a man to, for example, murder, to be exempt from the trial because they did not actually do it. During the video Richard Fine reveals who are the officials responsible for informing litigants of the illegal payments received by parties who are involved in the case. He says the JUDGE and the COUNTY COUNSEL have an obligation to disclose the illegal payments (to all litigants, civil and criminal and their attorneys). David Hernandez, a Los Angeles civic activist, tells Full Disclosure Network in this six-segment TV series of his legal challenge against Ballot Fraud, known as Prop. “R”. He is waging a war against a "Culture of Corruption" that has overtaken Los Angeles lobbyists, County and City elected officials and Superior Court Judges. Hernandez describes how these forces are destroying election integrity and the Democratic process. He exposes the fraudulent ballot language that misled voters who thought they were limiting the Council terms; when they were actually extending Council terms to three instead of two, and approving Lifetime Public Pensions for the 15 Council members without disclosing the enormous liability to the taxpayers. View Court Hernandez Document To Set Aside Void Judgment. When David Hernandez learned that Superior Court Judge David P. Yaffe, the judge who approved Proposition “R”, had received $860,000 from L A County, he decided to re-file his challenge to throw out the fraudulent Proposition that had been "certified" by the County Board of Supervisors. Hernandez points to the alarming fact that the politicians can control the outcome of the elections and manipulate the rules to keep themselves in power. The State Legislature gave Judge Yaffe immunity from criminal prosecution for taking money from the County, but Hernandez says judicial ethics required him to disclose this conflict and step down from the case. Hernandez describes the corruption in Los Angeles County that came to the attention of voters when it was learned that State Superior Court Judges were illegally getting payments (benefits) from the County. Judges taking money from the County should not sit on cases involving the County, especially County-run elections. Judges who receive the payments that violate the State Constitution are sitting on cases involving Constitutional issues. David Hernandez describes how the City Council and the lobbyists crafted the fraudulent ballot language. The L A City Council is one of the highest paid in the country. David Hernandez describes how Prop "R" was a poster child of the "Culture of Corruption". Grassroots voter groups mustered a challenge to the Ballot Fraud, which became a David-and- Goliath match-up. Hired by lobbyists and politicians, crafty lawyers shifted their tactics to outwit the grassroots public interest lawyers, ignoring laws, ethics and the Constitution. Dave Hernandez explains how County payments to Superior Court Judges (Yaffe) is a conflict and his decision supported Prop R. The Judge had been given retroactive immunity from criminal prosecution for taking illegal payments from the County of L.A. When the Legislature enacted SBX2-11 in an attempt to legalize the County payments, the Judges were still conflicted. The Commission on Judicial Performance is challenging the Constitutionality of the legislation. But the Judicial conflict is undermining the Justice system and now the Democratic process. Judges should not sit on cases where they have received money from a party to the case (L.A. County) as it violates the law and Judicial Canons of Ethics. County of LA is at odds with the Union Rescue Mission (URM). According the Rev. Andy Bales, Chief Executive Officer of the URM care provided to homeless was blamed for adding to the homeless problems in L A County. The Los Angeles Homless Services Authority, a County/City joint government agency that oversees multi-millions in Federal funds for emergency shelter and housing apparently does not want homeless families to be "taken in" off the street by the URM. LAHSA Executive Director Michael Arnold said what they want is for homeless families to stay (on the streets) in their communities, so the communities will become aware of their need. Are homeless families being used as "pawns" in the battle for control over Federal Funding? L A County Adminstrator Mike Arnold says the local City Councils should address the problem. Rev. Andy Bales says that the Union Rescue Mission is dedicated to "taking in" the homeless and needy families when and where needed as they have for the past 120 years. Life Transformation is #1 goal of the Union Rescue Mission for the down and out. But L A County appears to discourage this approach. URM stepped up to provide emergency shelter services when other agencies would not, they soon learned that the efforts were not appreciated. Segment #4 Battle For Homeless Federal Funds or Homeless Souls? Mike Arnold of LAHSA Los Angeles Homeless Services Agency describes how he administers the multi-millions in Federal Funds for homeless programs in LA County. He says the County favors permanent housing for homeless and shares his concerns about the Union Rescue Mission efforts to provide hope and spiritual guidance are not compatible with the County's "public procurement" process used by LAHSA in dealing with the problem of homeless. Rev. Bales vows the URM will continue winter emergency services for the homeless with private funds. Rev. Bales says that year round services are the goal to solve the problem. This need is what activated Rev. Bales and describes how his home video of Hospital dumping patients on LA Skid Row went viral on TV and forced the hospital to stop their "dumping" practices. He bristled when told by LAHSA to "close your doors to homeless families with children" so the communities would step up to help them. Union Rescue Mission's method is providing private support for life transformation classes, that require sobriety and not just "three hots and a cot" is the most effective, according to Rev. Andy Bales . But LAHSA Government programs are targeting the chronically homeless with housing using Federal Funds from HUD (Dept. of Housing & Urban Development. ) The objective for both is to establish Regional services but the URM and LAHSA differ on how to do it. Mike Arnold tells of Government Plan to end homelessness by working with the L A Chamber Task Force and United Way. DOJ: "We Do Not Conduct Investigations"
Los Angeles, CA Former U.S. Prosecutor Richard I. Fine, Ph.D. is calling for a special prosecutor to be appointed to investigate the Department of Justice and HUD (Dept. Housing & Urban Development cover up of a Marina del Rey $125 million loan guarantee for a luxury apartment complex. Marina del Rey resident Professor Daniel Gottlieb, Ph.D. received (this letter) following his request for investigation submitted to the U. S. Attorney's office. This shocking response from the Department of Justice (DOJ), saying the U.S. Attorney does not conduct investigations, was proof positive the cover up was coming from Washington, according to Dr. Fine. Segment #3 Why a Special Prosecutor? Segment #5 U.S. Attorney "We don't Investigate"
A front-page story in the Sunday L.A. Times' Business Section HERE paints a "rosy" picture for the 554-unit Marina del Rey luxury apartment complex on county-owned property that was awarded the largest-ever HUD loan guarantee (in the West). Developer Jerry Epstein made statements, quoted in the article, acknowledging problems with financing, saying he was "hard pressed to find traditional financing with reasonable terms for his Shores project." He said, "I have had over 60 years of experience with banks with never a problem." This statement drew a quick response from long-time opponents of his project who are calling for a SPECIAL PROSECUTOR to investigate the HUD loan guarantee and the failure of Epstein to disclose a bankruptcy and ongoing contentious litigation on the project. Former U S Prosecutor Richard I Fine describes how the U. S. Attorney's Office has become involved in the HUD cover-up of a Marina del Rey $125 million loan guarantee for a luxury apartment complex. Following this request for investigation submitted to the U.S. Attorney 's office ,a prompt response was received by Professor Daniel Gottlieb, (in this letter) from the Department of Justice, saying the U.S. Attorney did not conduct investigations. According to Fine this response was proof positive of the spreading cover-up. Former U. S. Prosecutor Richard I. Fine, Ph.D. reveals how easy it is for the U.S. Attorney to call a Grand Jury to obtain Federal indictments on the HUD cover-up of a $125 million loan guarantee on a Marina del Rey apartment complex. He outlines the prosecution process and details the numerous public records available to prove a case under the Racketeering Influence and Corruption Organizations Act (RICO) and how very simple the process is to get convictions involving the L A County Supervisors, Superior Court Judges and Developers in Los Angeles, a case in point, the Marina Del Rey Shores development. Former US Prosecutor Richard I. Fine warns it is a federal crime when HUD awards a $125 million Loan Guarantee a Marina del Rey apartment complex that has only 54 units reserved for low income residents, that adds up to $2.5 million per low income unit. The remaining 500 luxury units are for high income residents in the development. He calls for a Special Prosecutor to be appointed to prosecute this federal crime. This two-part television series features former U.S. Prosecutor Richard I. Fine and Daniel Gottlieb, Ph.D. providing commentary on the involvement of the Department and Justice and HUD o the "Shores" Real Estate development in Marina del Rey that at one time would have been a "sure thing". According to Fine, this project is much more risky and difficult to get HUD financing for a complex that set aside only 54 units for low income residents. Former U S Prosecutor Richard I. Fine describes how HUD funds would have to be are being diverted from low income housing to this luxury 500 unit apartment project even when critical information was withheld on the HUD Application. Richard Fine tells Full Disclosure that the U S Attorney's claim the DOJ does not investigate crimes is preposterous. He describes how a questionable HUD loan guarantee for luxury apartments in Marina del Rey appears to be a Federal Crime. Fine says the developer's failure to disclose a bankruptcy in their $125 million HUD application is an indication that his Marina del Rey "Shores" project will have an uncertain outcome and could be costly to taxpayers. U S Attorney's office of the Department of Justice declines a request to investigate stating "we don't conduct investigations"
Los Angeles, CA The Full Disclosure Network®, known as "the news behind the news" presents the following three-part series covering details and actual documents involved in the Housing and Urban Development (HUD) attempt to recall a HUD application that was submitted in a request for a $125 million loan guarantee approved by their Los Angeles office. Submitters of the loan guarantee for a controversial Marina del Rey project apparently generated the "Cease and Desist" letter from HUD attorney Edward J. Campbell, demanding the immediate return and destruction of the application document that had been released to the public in a Freedom of Information Act (FOIA). HUD Cover-up of controversial application for $125 million loan guarantee generates curiosity about why a luxury apartment complex in Marina del Rey could possibly qualify for a "low income and affordable" housing program. This is the first segment of a three segment series featuring Marina del Rey homeowner Dr. Daniel H. Gottlieb a Professor Emeritus of Mathematics at Purdue University who has been a leading opponent of the project. Also providing a legal analysis is Richard I. Fine, Ph.D., the former attorney who represented homeowners, Fine describes the serious legal questions raised and the political conflict of County Supervisors Michael Antonovich and Don Knabe whose votes in favor of the project were void due to political contributions from the developers Pat and Jerry Epstein, David O. Levine. Apparent collusion between local developer and HUD is described by Richard Fine the former attorney for Marina del Rey homeowners opposing a massive luxury apartment complex in their neighborhood. Fine describes how the developer and county attorneys were sitting as Presidents of the State Bar at the time disbarment proceedings began to revoke his law license but failed to disclose in order to remove him from the case. He describes how the HUD loan application failed to disclose the developer's past and current litigation on the project. Fine, a former U.S. Prosecutor claims that this omission on the application is a violation of Federal law and describes the submission as "Fraud". He also points to the fact that there is no funding for the project disclosed on the HUD application from the principals involved who are Jerry & Pat Epstein, David O. Levine, Anne & Kirk Douglas and the Guardian Insurance. Fine states the HUD application is a public document obtained by a Freedom of Information Request (FOIA) and describes the HUD "Cover-Up" in trying to recall the documents. Video Segment #3: Federal Indictment Next On Marina HUD Controversy? Richard I. Fine former U.S. Prosecutor describes how LA County payments of $350 million to local State Superior Court Judges has set the stage for developers to influence the outcome of litigation. Political Contributions from developers to County Supervisors who cast illegal votes on projects that are opposed by the public. Fine describes how Marina del Rey developer Jerry Epstein's bankruptcy was not disclosed in the $125 million HUD loan guarantee application that was released to the public and then recalled by HUD in an attempt to cover-up the crime and failure to investigate the applicants. 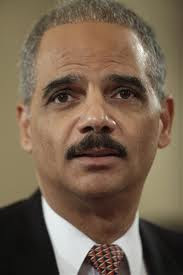 He claims that the HUD recall letter demanding the document to be destroyed is grounds for "indictment" of the attorney who sent it and warrants a complete investigation. Related HUD Documents and Summary Posted Here. Los Angeles, CA Former U.S. Prosecutor Richard I. Fine, Ph.D describes the latest court battle against corruption and his campaign to regain his license to practice law. In this 2 minute video preview, Fine names names of the most powerful judicial and State Bar officials who he alleges have conspired to undermine the justice system with corrupt practices by taking illegal payments from L A County government, who almost NEVER loses cases in the courts. Fine was jailed for 18 months in solitary "Coercive Confinement" without being charged or convicted of a crime following his attempt to disqualify Judge David Yaffe who unexpectedly released him and then resigned from office before his term ended. Since early 2000 attorney Richard Fine has been fighting judicial abuse of power. In his campaign t to restore integrity to the Justice system, Dr. Fine has filed a First Amended Complaint in Federal Court (California Central District) Case No. 10-cv-0048 alleging the circumstances where California Judges illegally conspired against him at the behest of the State Bar officials, Los Angeles County government officials and lawyers for the developers who opposed him in the courtroom. Declare unconstitutional California's Moral Turpitude Law that is abused and misused for illegal purposes. Declare unconstitutional the State Bar practice of "Involuntary Inactive Enrollment" of Licensed Attorneys who are given no notice of actions against them. Declare unconstitutional the Senate Bill SBX2 11 that gave retroactive criminal immunity to judges and government officials who were involved in the misappropriation of public funds and resulted in the illegal payment of $350 million to Superior Court Judges in L.A, County who never disclosed to the litigants in the court room that the payments were made to them by L.A. County, a party to litigation in cases before them. To Declare and to enjoin the State Bar and all of the Defendants from taking any action against Richard Fine with respect to their having disbarred him based upon the fact that the Supreme Court Judges violated the law and engaged in corruption by having received illegal payments from L A County. Former U S Prosecutor Richard Fine describes his court battle to restore integrity to the California Justice system. His court complaint names some of the highest Court and Legal Officials who are involved in the corruption. The actual Court Documents that describe the high level corruption are available free online here. According the former U S Prosecutor Richard I Fine, California Judges are violating the Intangible Right To Honest Services that says you cannot take a bribe. Fine goes on to say that "under California law L A County payments to Judges are considered to be a bribe and considered to be obstruction of justice and conspiracy to obstruct justice and the Judges are required to pay the money back". In his complaint Fine's alleges two State Bar Presidents whose law firms were representing developers and L A County against Richard Fine and his clients, but never disclosed this information during the disbarment proceedings. Richard Fine alleges there were major conflicts not disclosed by members of the State Bar Board of Governors and the State Bar Judge during the course of his disbarment proceedings, . In the video he describes his allegations of a money trail from developers to the County Supervisors who approved developments with illegal votes, then gave illegal money to the judges who then decide in favor of LA county and the developers.